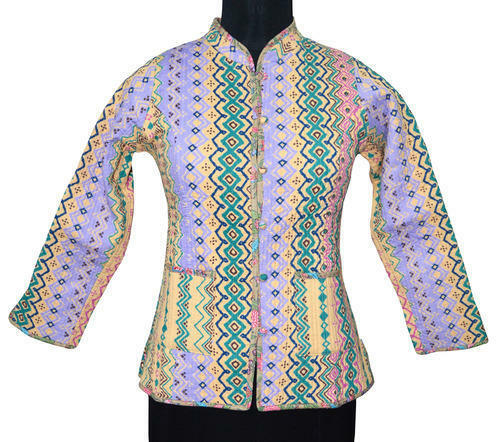 Fabulous Stylish kantha stitched handmade printed girls/ladies winter summer wear jackets. It is made from 100% cotton fabric. It will give you a ravishing look. A stylish collection of Ladies Jackets is available at our end. 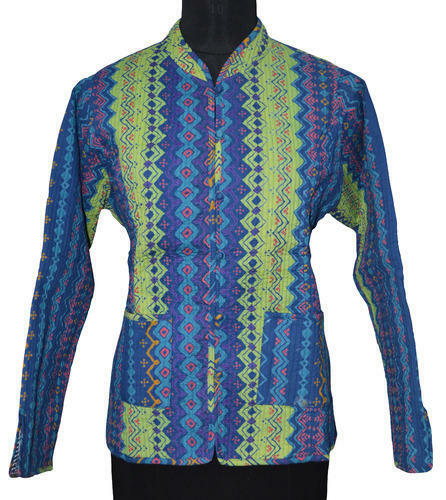 Our customers can avail this range as Ladies Printed Jackets and Block Printed Jackets. 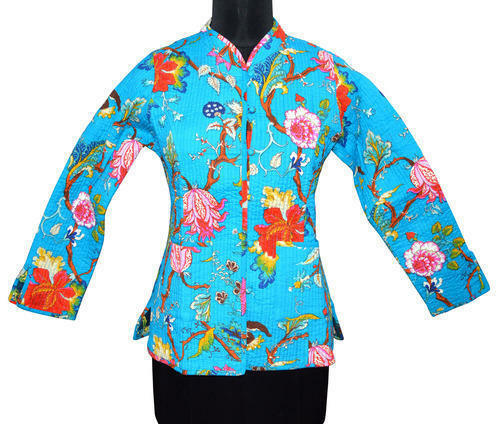 These are attractive assortment of Ladies Jackets is made by our creative and expert designers. We offer this range in various designs and colors. We have developed a trustworthy vendor base to procure quality raw material to make these jackets. We offer this range in various colors are sizes to maximize the satisfaction level of our customers. 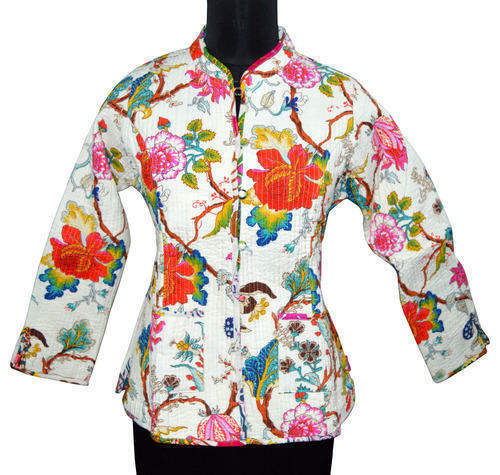 We are offering an elegant collection of Ladies Printed Jackets in the industry. Our customers can avail this range at an effective price. 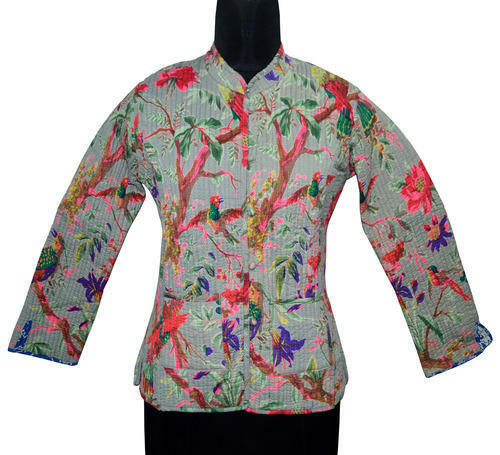 These are attractive assortment of Ladies Printed Jackets is made by our creative and expert designers. We offer this range of jackets in various designs and colors. We have developed a trustworthy vendor base to procure quality raw material to make these jackets. Our organization is backed by an expert team of quality controllers to vigil the entire manufacturing process of these jackets to offer a defect-free range of products to our customers. 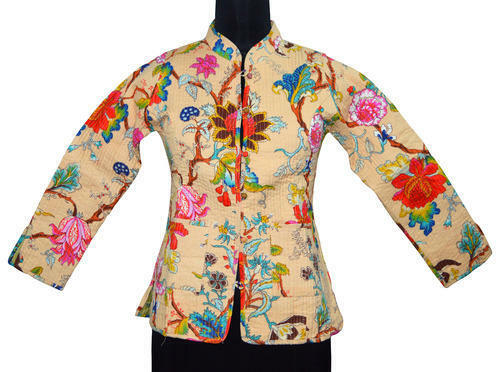 Ethnic Printed Woman Winter Jacket Cotton Embroidered hand made jacket. This is a made of cotton and hand made work. We are the leading supplier manufacture wholesaler and exporter of all kind cloth items. 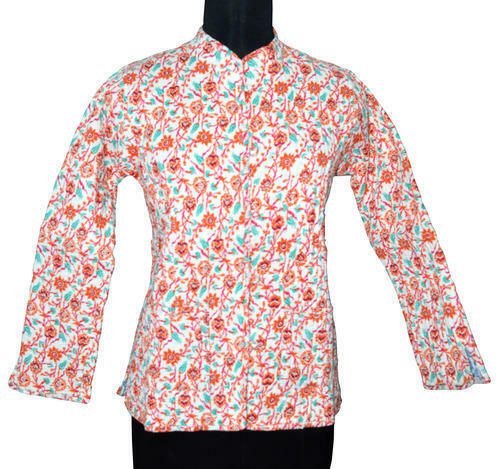 These products available in all colour sizes and designe..
A stylish collection of Ladies Jackets (Printed Cotton Jacket) is available at our end. 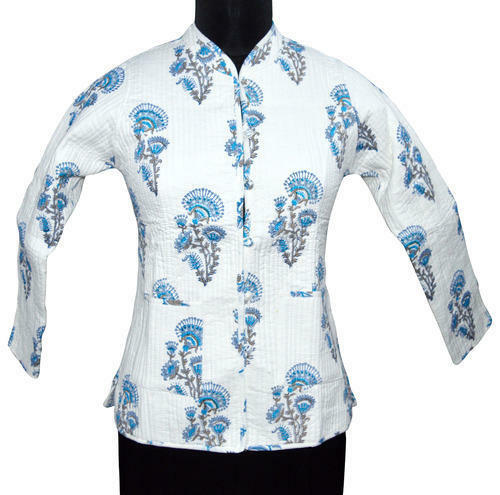 Our customers can avail this range as Ladies Printed Jackets and Block Printed Jackets. 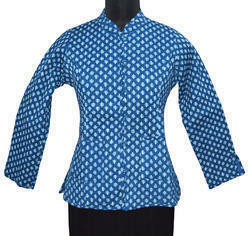 These are attractive assortment of Ladies Jackets is made by our creative and expert designers. We offer this range in various designs and colors. We have developed a trustworthy vendor base to procure quality raw material to make these jackets. We offer this range in various colors are sizes to maximize the satisfaction level of our customers. 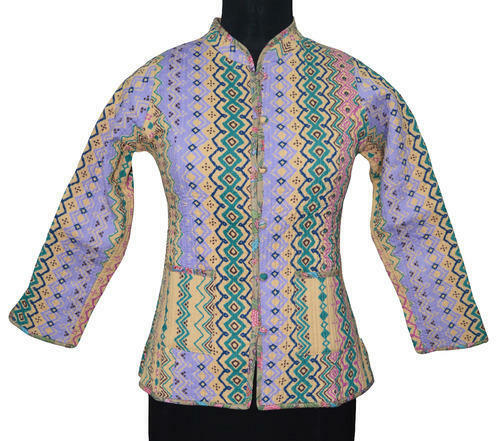 A stylish collection of Ladies Ethnic Woman Kantha Jackets is available at our end. 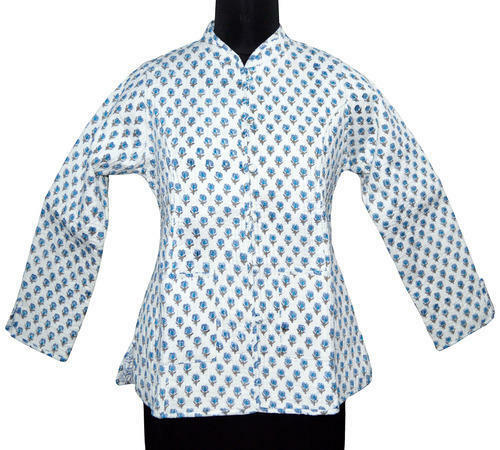 Our customers can avail this range as Ladies Printed Jackets and Block Printed Jackets. 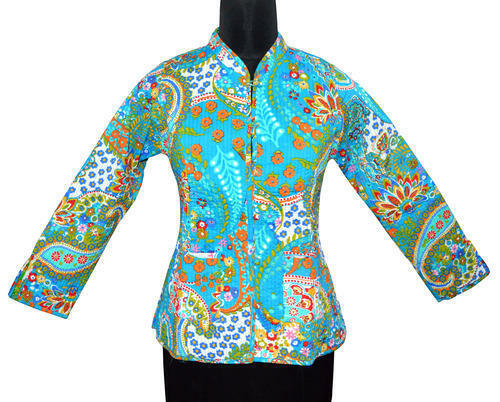 These are attractive assortment of Ladies Jackets is made by our creative and expert designers. We offer this range in various designs and colors. We have developed a trustworthy vendor base to procure quality raw material to make these jackets. We offer this range in various colors are sizes to maximize the satisfaction level of our customers. 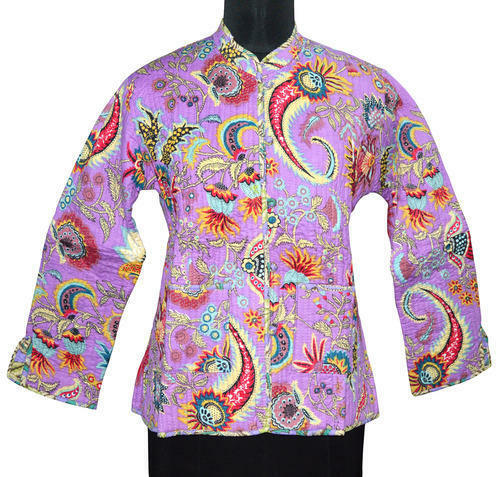 Looking for “Kantha Women Jackets”?